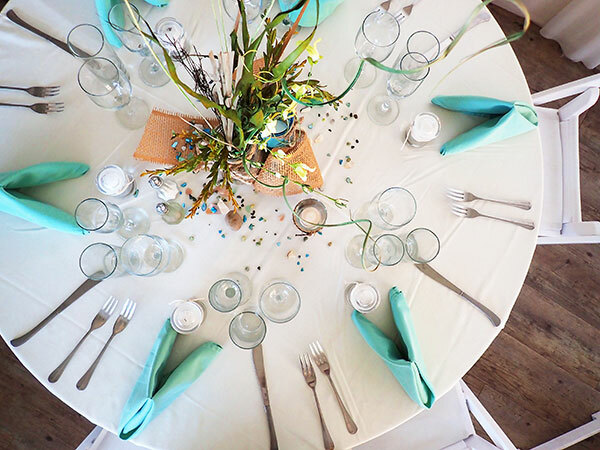 Have you ever wondered why one of the first things party planners want to know about your bar/bat mitzvah vision is your party’s theme? 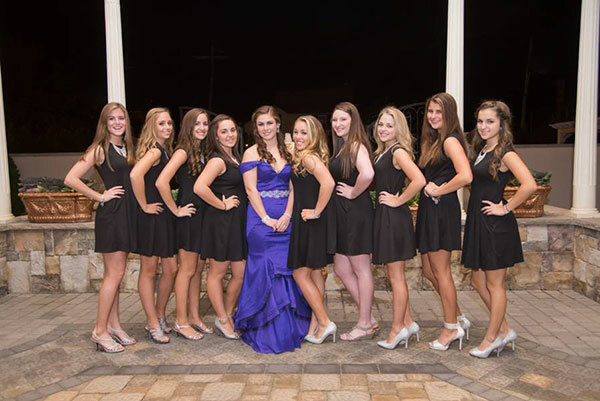 It directs their creativity when it comes to personalizing nearly every detail of your bar or bat mitzvah. We encourage you to spend your time reflecting on your child and what customized details will make them feel special at their celebration. Let’s take a look at some of the most creative bat and bar mitzvah ideas for the most popular themes. Beach lockers: Display tasty small bites like mini croissant sandwiches in cubes with your child’s monogram. Beach balls: From the dance floor to the outdoor area, bounce these around to keep the energy high. Customized with the party’s date and your child’s name, guests can later snag one to take home. Wave placeholders: A simple DIY project—cut out wave shapes and decorate them with blue rhinestones. Sand and seashell centerpieces: Fill vases with polished sand and blue seashells to create gorgeous beach-themed centerpieces. Maybe even drop in charms shaped like your child’s lucky number or initials. Beach towel party favors: Embroidered with the ceremony’s date and child’s initials, guests will reflect upon this party when they are relaxing at a real beach. Create a modern icy atmosphere in a mystical venue like Jacques Reception Center. From the Roman urn fountain at the entrance to the imported Italian crystal chandeliers inside, guests will be ready to dance the night away. 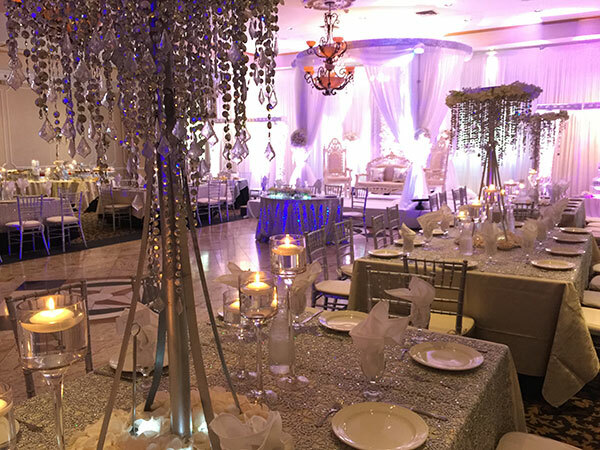 Use blue uplighting to cast a beautiful glow on the hand-carved granite dance floors and spread white chiffon tablecloths, fake snow, white feathers and faux icicles throughout the space. Snowflake signing boards: Display a giant board with a snowflake for each guest to leave a message on. Custom martini glasses: Print your child’s monogram onto martini glasses and serve a signature blue ice martini. Snowflake placeholders: Direct guests to their tables with snowflake-shaped cards on wooden stumps. White branches and pinecones: Spray paint these and hang snowflakes with your child’s initials. Snowflake sugar cookies: Print your child’s name on snowflake-shaped cookies decorated with white icing. Fleece jacket party favor: Customized with the date of the party and with custom mints in the pockets. Fairytale castle projection: Transform any room into a castle and watch a princess story unfold. Music from princess movies: Among our partner vendors you’ll find imaginative DJs who know how to use music to bring any theme to life while keeping the party spirit going. Mini ball: Project your child’s name on a beautiful dance floor and watch guests dance the night away. Tiaras and crowns: Customize these with your party’s year and give them to guests as a party favor. Signature dishes: Every princess enjoys upscale cuisine. Work with our experienced culinary team that can design a personalized first-class menu. Red carpet with stanchions entrance: Bright lights shine a spotlight on each and every guest—they are all VIPs at your party! Show tickets place cards: Print the date, location and start time of your party to welcome guests to the show. Then make sure your custom menu delivers an unforgettable experience. Hollywood movie posters: Frame your child’s face and let them feel famous for the day. Vintage film reel centerpieces: Top it off with feathers—red and white work great, but you can also use your child’s favorite color. 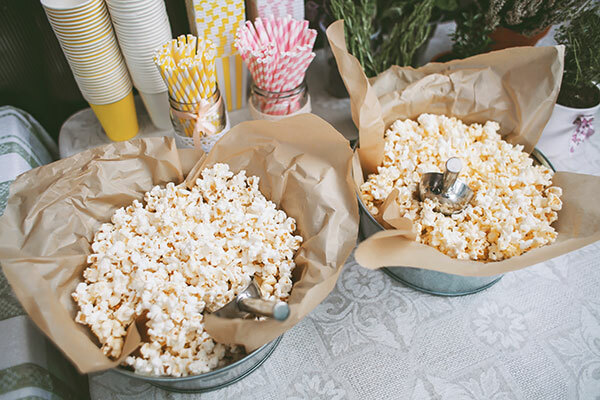 Popcorn station: Decorate the popcorn cart with Broadway show posters. Guests will enjoy a variety of flavors like kettle, chocolate coated, caramel, and cheddar. Star pillows: Guests can relax on star shaped pillows with large monograms. Hollywood Walk of Fame stars: Project stars with your child’s name to lead guests to various buffets and activities. Napkins, cups, coasters and nearly every essential party item can be found in a sports theme and this is great because it makes decking out your venue easier than ever. What will make your party stand out from the rest? How about using a state-of-the-art sound and audio/visual system at a premier venue like Jackson Crossing to announce the VIP guests to a party full of personality and energy? Water bottles: Print your child’s favorite jerseys and the celebration’s date on disposable water bottles for guests to grab and go. Sports-themed yarmulkes: Readily available in a variety of prints, these are a fun way to embrace tradition. Basketball court dance floor: Projections can transform any dance floor—game on, dance ready! Stadium food: Sliders, hot dogs, a soft pretzel station and a custom nachos station give guests almost as many food options as they find at a sporting arena. Custom balls party favors: Print your child’s name and event date on soft balls. Illuminated acrylic sculpture: Kryptonite invites guests to pick up their 3D seating cards. Superhero dancers: Let guests join dancers dressed as superheroes on the dance floor. Extraordinary custom menu items: Choose from over 70 specialty items to create a surreal culinary experience. Look for items that would power a superhero, or your guests! Think along the lines of a filet Florentine entrée. Superhero cape favor: Monogramed and in brilliant red, guests will be ready to fly away after your incredible party. Supersized chocolate bar party favors: Customized with superhero-designed wrappers. With 60+ years of experience, our creative catering team has brought a lot of unique bat and bar mitzvah themes to life. If you are in the tri-state area and want to plan an exceptional party, contact us online or give us a call at 866.522.7873.